Like old friends, old rivals are always around when you need them the most. That sentiment may well be on the mind of Singapore coach Radojko Avramovic as he takes his Lions north for the Sultan of Selangor’s (SOS) Cup on Saturday. Ahead of the win-or-you’re-out World Cup qualifier against Jordan on October 11, the Lions need as many quality matches as they can get in the midst of an already squeezed S.League schedule. What they are getting is the SOS Cup match against Selangor, and a friendly against the Philippines at the Jalan Besar Stadium on October 7. Avramovic has never been in favour of the Lions playing club teams, but desperate times call for desperate measures. Singapore have already played a club team once this year, when they defeated the S.League champions Etoile FC 2-1 in June. Never mind the thorny question whether national teams should be playing against club sides, the opportunity for Saturday’s game came as a relief. Without Selangor’s invitation, the Lions would probably have been playing Etoile (again), Albirex Niigata S. or the Young Lions. That’s a sad indictment of the Football Association of Singapore (FAS)’s ability – or lack thereof – to arrange quality friendlies for the Lions. In recent years, the Lions’ opponents in friendlies first began to come from ever lower regions of the FIFA rankings, before club sides began to pop up more frequently. 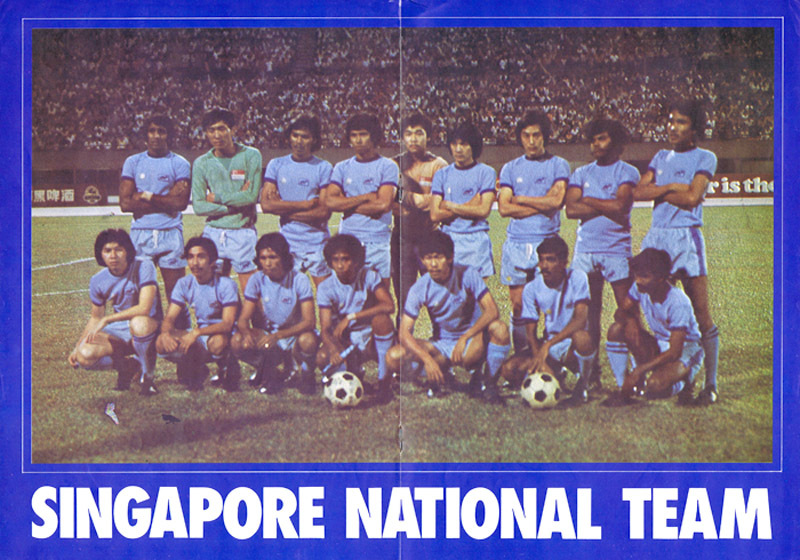 And now, the logical denouement: the FAS struggles to find an opponent for its national team, any opponent. International friendlies are a vital part of any national side’s preparations and evolution, and high profile games against top notch opposition keep both fans and players enthused. They arouse public attention and can be a significant contributor to a football association’s revenues. Yet the FAS seems to place scant priority on arranging them. The national team management looks increasingly bereft of ideas or contacts for matches; before the World Cup qualifiers against Malaysia earlier this year, they were scrambling desperately for an opponent when Laos left the Lions high and dry by calling off a proposed friendly. The last-minute solution then turned out to be Chinese Taipei. Meanwhile, the general secretary Winston Lee seems to find the business of arranging international friendlies beneath him, even though his list of contacts in world football should be the longest among the FAS management. While the Lions sample the familiar delights of Shah Alam this weekend and test themselves against the Philippines next Friday, here’s a sampler of the international friendlies our ASEAN neighbours have lined up. Thailand faces Jordan in Bangkok (ticket for Raddy at the Rajamangala Stadium please), Vietnam meet Japan in Kobe and Malaysia fly to Canberra to play Australia. The weeks before World Cup qualifiers are the easiest time to arrange international friendlies, with an array of teams needing matches before their qualifiers. Yet the FAS was unable to conjure an opponent from among the Asian Football Confederation’s top 10 teams. Something that our neighbours seem to have no difficulty in doing. So it’s off to Shah Alam then. In the SOS Cup last year, a Singapore Selection team cast aside all diplomatic niceties and hammered the home side 6-0 in a match played a day after Selangor had returned from an away game in the Malaysia Cup. Avramovic will be hoping that the Merah Kuning do not harbour thoughts of dealing a little retribution on Saturday – a few studs left in less than friendly places and an injured national player or three would turn a laughable preparation for the World Cup qualifiers into a disastrous one.